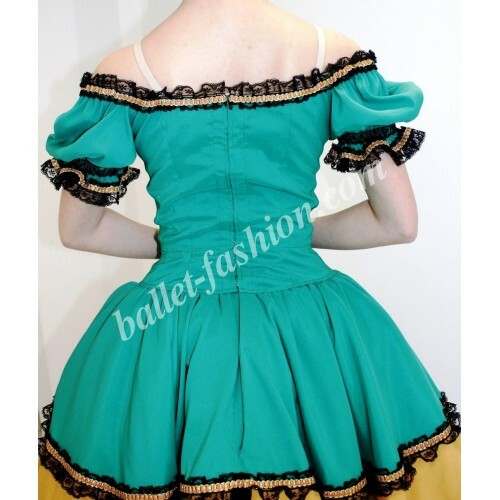 The bodice is made of a semi-stretched fabric with puffed sleeves. There is a deep insert made of satin in the contrast color. 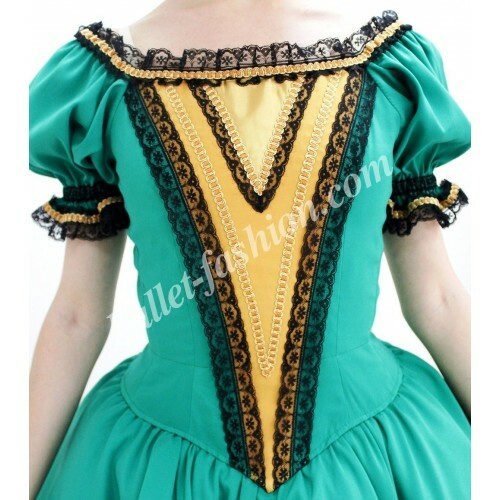 Sleeves and bodice are decorated with black lace and gold braid. The basque is made of the main bodice fabric and is edged with beautiful black lace embellished with gold braid. Then go two frills made in the color of the insert on the bodice, they are also edged with beautiful black lace embellished with gold braid. Underskirt is made of the combination of soft and rigid tulle. 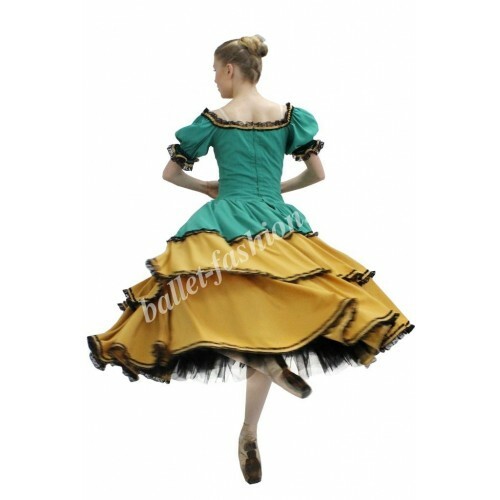 Gorgeous ballet dress in Spanish traditions created especially for the role of Dona Serafina in "Paquita" ballet.